After acquiring connected TV startup Boxee for $30 million a couple years ago, Samsung is reportedly coming away with little to show for it. The project, reportedly codenamed “Perfect Experience,” involved replacing a traditional remote control with a dedicated media tablet. The device would act as a unified TV guide, stringing together live TV and streaming video sources. At one point, Samsung wanted to bundle the tablet with its 2015 Smart TVs, with an announcement planned for the CES trade show last January, but postponed it several times before axing the project altogether. Why this matters: If Variety’s report is accurate, it marks a sad end for a startup that was once at the vanguard of the connected TV business. 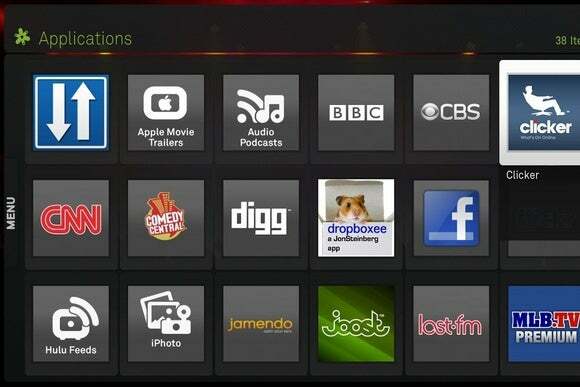 Boxee’s desktop software was beloved by home theater PC enthusiasts about five years ago, though the company struggled to stay relevant as larger players entered the streaming video space. The Boxee Box hardware couldn’t compete on price and ecosystem against Apple TV and Roku, and Boxee’s attempts at tablet software and over-the-air DVR hadn’t gained much traction before Samsung swooped in. But the project also reportedly met resistance from content providers, who weren’t on board with the unified programming guide concept. This is not a big surprise, as we’ve seen evidence in the past that providers are reluctant to give up the control that comes with a dedicated app. It’s likely that this content-centric approach is the future of television, as users will need a way to sift through a growing number of streaming video sources. In addition to Google, we’re also seeing Roku and Fire TV move in this direction. Boxee’s effort—much like the desktop software and live TV hardware of its earlier years—was just ahead of its time.